This is your chance to stay at one of the most unique hotels in Europe, the Treehotel. Sleeping in a UFO-shaped cabin in a tree in the Swedish wilderness is a once in a lifetime experience. You’ll also Sweden’s Arctic city of Luleå. In Luleå everything takes place on the ice – even their gay pride celebrations. 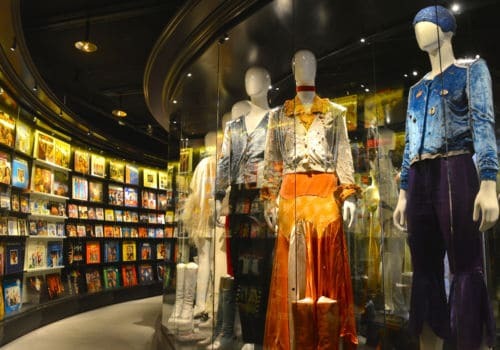 Your winter adventure will end in Stockholm where you’ll visit the ABBA Museum. When you arrive at Luleå airport – the biggest city in Swedish Lapland – a driver will meet you and take you to your hotel. The ice city is then yours to explore. You’ll be struck by the contrast of the bright sun and the surrounding snow. Take a trip to Hemmagastronomi where you can drink and taste some excellent Swedish food. After breakfast take a guided boat tour around the Luleå Archipelago in the Bay of Bothnia. Most of these islands are uninhabited but some are home to small communities. During winter much of the area is icebound and the islands are accessible by car. Take a trip to the nearby town of Gammelstad, a UNESCO World Heritage Site. This picturesque church town is home to Nederluleå church, built in 1492. You can join a guided tour or explore the town at your own pace. From Lulea it’s a one hour drive to the fabled Treehotel. Whether you’re staying in the Mirrorcube or The UFO, you’re sure to have a unique experience. To learn about the origins of this magical place you can join a guided tour and discover how the Treehotel was created. You can also join a hike into the forest or explore it at your own pace. Remember, the forest is waiting for you the moment you step out of your UFO cabin! After breakfast set out on a moose safari by car. When you’ve spotted a moose or two head deeper into the forest and meet the Sami Eriksson family. Lars, a reindeer herder, will share his stories of forest life in Lapland. What could be more Swedish than that? Today you’ll be flying to Stockholm from Luleå airport. Check into your hotel. Take a trip to the ABBA Museum and learn about Sweden’s biggest cultural export. You could even try some of the dance moves. Then, take a trip Gamla Stan, the heart of the city. You can join a guided tour or explore the city at your own pace. You could go full hipster in Södermalm and get some vintage swag. In the evening you could have a boogie at Trädgården, Stockholm’s celebrated outdoor club. Bring a warm coat!